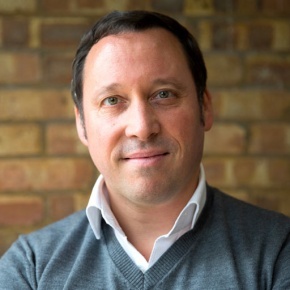 Raphael is the Founder & CEO of the Startupbootcamp IoT Program based in London. Starting his career in the Telecom industry (Gemplus) & spending close to 14 years at Apple (last as Head of Strategy & Business Development for iPhone & iPad in Business in EMEIA), he decided to turn the page on his Corporate life & come back to his love of entrepreneurship & innovation-driven companies. Starting with mentoring (Seedcamp & many other European based programs) & learning what it was to be an entrepreneur in 2013, he also quickly became actively engaged within the investment / VC community & as an angel investor / advisor himself to various startups (notably Undagrid / Beasts of Balance). A Founding Management Board Member & Chair for the SMEs in the AIOTI (Alliance for IoT Innovation) at the European Commission. A Founding Board Member of the French IoT Think Tank - alongside key actors of the industry - to advise the government & support the French ecosystem on IoT trends & key challenges. A Founding & Advisory Board member of the newly announced UK French Tech Hub with the support of the French Minister of Digital & the Business France Branch in London. He’s been an active speaker in multiple conferences around the world (Europas, Pioneers, BDLA, ArabNet, Unbound, Latitude59, Slush etc…) most recently around IoT, IIoT & Impact investments. Raphael holds a Master from McGill (Canada) as well as a Degree from the Business School of Management ESSCA (France).